Home Maintenance & Repair RV Electricity – Don’t backfeed power to your RV! 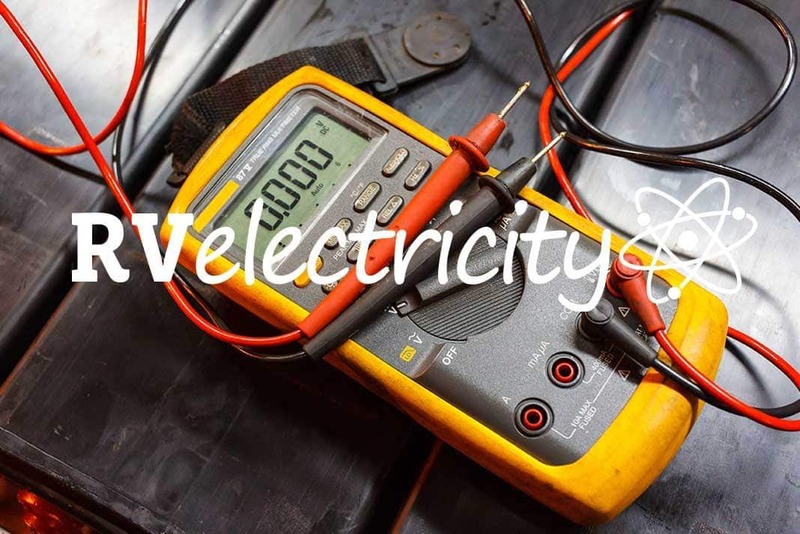 RV Electricity – Don’t backfeed power to your RV! I purchased my ’63 GT 7 months ago and from what I remember, seller had the trailer plugged into an extension cord (regular everyday orange extension cord) from his garage to single exterior outlet on lower street side of trailer. For the 1st time I am attempting to plug my extension cord into this outlet and I see the outlet is a FEMALE plug in – Not the male style I have used before. OK, let’s review exactly what is happening here, why they’re doing it, and why it’s so terribly dangerous. Plus this is something you’ll often see when somebody needs to do a quick (cheap) hookup of a generator into a house for emergency power. So everything that follows is a Code Violation and is VERY Dangerous. DON’T DO ANY OF THE FOLLOWING. THIS IS A LESSON IN HOW NOT TO FEED ELECTRIC POWER INTO A HOUSE OR RV FROM AN EXTENSION CORD OR GENERATOR. First of all, here’s a picture from the forum describing what they’re actually doing. Instead of using a regular male shore power inlet on the side of the RV, they’re backfeeding the power into an exterior electrical outlet. That’s right, this is an exterior female outlet on the side of the RV, which is normally used to supply power to an appliance on the outside of the RV. But in this case it was used to backfeed power from the house into the RV. This is wrong for a lot of reasons. But first, let’s review how they must have done it. They used something called a “suicide cord,” which is aptly named, as you’ll see shortly. It’s a male-to-male, 15-amp Edison extension cord you can buy on Amazon (believe it or not) to backfeed power from a generator into a house that’s lost power from the electric company. Here’s what one looks like. There are also versions of this suicide cord (often called a backfeed cord on Amazon, but DON’T buy one) that adapts from the twist-lock outlet on your generator to a dryer plug in your house. The idea is that with a $60 male-to-male adapter cord you can plug a generator into your house electrical system and not have to bother with a proper transfer switch. Just because they sell it does NOT make it safe or legal. Well, the primary danger is that if you unplug the male cord that’s feeding the outside outlet on the RV, you now have exposed plug contacts that are energized with 120 volts at full circuit breaker current. That’s dangerous enough on an RV, but if you do it in your house there’s a secondary problem that’s even MORE dangerous. If you use one of these generator backfeed cords to power your house and forget to turn off the main circuit breaker in your service panel coming from the power company, you will begin backfeeding the 120 volts from the generator into the power company transformer on the street. And that 120 volts will now be stepped up to 11,000 volts or so on the street power transformers, energizing the supposedly dead power lines that a utility worker is attempting to fix. Lineman have been injured and even killed from exactly this type of stunt by a homeowner, so NEVER do it. EVEN IN AN EMERGENCY. For your RV, make sure you have a properly installed male inlet on the outside of the RV, and use the correct shore power cordset to connect it to a portable generator or shore power. If you don’t know how to do this properly, then please find a properly licensed RV technician to do it for you. And if you have to look it up on YouTube to figure it out, then you have no business attempting this yourself. Seriously! 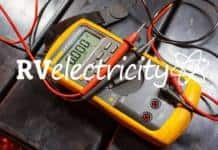 For your house, you’ll need to have an electrician install a proper male electrical inlet on the outside of the building and a transfer switch hooked up to your service panel that will properly isolate the generator from the electrical company wiring, as well as direct the generator power to the proper circuits in your house. This is the ONLY safe way to provide power to your home from a generator, so please don’t use a backfeed cord in either circumstance. Yes, some municipalities allow you to use a generator interlock, but that’s a little different and potentially dangerous if someone removes the cover of your service panel. Always check with your local AHJ (Authority Having Jurisdiction) before doing anything like this, and have it properly permitted, installed and inspected. Don’t go cheap on this, people, as other lives are in your hands. Now I’m really confused. Can I use a Honda EU2000i generator to run lights in my trailer. Do I just run the generator to charge my battery and let the inverter run what it can? What would I need? It’s a 2018 Jayco 338RETS and it’s under warranty. I don’t want to void it by hooking something in the electrical system. I have already had a misfired inverter. Remember, a lot of this is about liability in the event of something going wrong. While you can get away with manually shutting off the main breaker and backfeeding power into your house, if someone gets hurt and the insurance company wants to know what went wrong, you don’t want to be the guy with the cheater cord and no generator transfer switch or interlock. I (and I imagine many others) eagerly await reading your properly documented plan. I’ve had a few ideas myself (involving $25 motorized 63A@240V Automatic Transfer Switches), but I instinctively don’t like intentionally backfeeding through my RVs “input” cord anytime, any reason. Effectively making a bidirectional grid in your driveway by “reversing” the shore cable seems sketchy for amateurs, and sounds like it would create a very BIG “suicide cord” by energizing the shore lead. Hopefully i misread your intended plan? An unexpected bonus of your approach is that your neighbors will be surprised, and eternally grateful, if you put your generator on a sled or cart and go knock on their doors with an offer to plug in their refrig or freezer for a half hour. With a little effort, you can take care of half a dozen neighbors this way, and their admiration and gratitude will show up in many ways. Mike, what is the difference between flipping the MAIN circuit breakers off at the power panel in the garage before powering any of the house circuits VERSUS installing a transfer switch? I realize a transfer switch is installed per code BUT if one was in a pinch wouln’t this work? Or does it have something to do with the Neutral & Ground wires which do NOT go through any circuit breaker? When we lose power to the house and have a perfectly good TT sitting outside I just hook the Generator up to the camper and spend some time “camping”. Make the best of a bad situation. I generally agree with you, and just go stay in the RV for a couple hours, usually just running on batteries. That said, I DO generator-power my house in prolonged outages for the sake of my multiple freezers I don’t want spoiling. You’re very welcome. As I’m sure you can tell, engineers are “my people”. But I do have a lot of fun figuring out the best way to teach complicated technologies to consumers. To me the engineering part is easy, the real trick is teaching it. Mike, I never realized you could actually buy these cords. That’s an accident waiting to happen. I’ve seen them home made many times. Yeah, go figure. And I can’t believe that Amazon would actually sell them. Think of the liability if something goes wrong.